The friendly matches are in full swing and it’s soon going to be time to start the new footy season proper – we can’t wait. Burnley FC went from strength to strength last season – and now it’s all about the Premiership. Which means they’ll be pitted against some of the top names in football – including Man City, Man United and Chelsea. That’s an impressive list of names and one Burnley now reside on too. We couldn’t be more proud. And, we’re gonna be giving loyal Clarets a chance to enjoy that pride with VIP days at Turf Moor. Well, first way is simply entering the draw. The other way is to nominate someone for our Reward a Claret scheme! Maybe you know someone who's fighting an illness and hasn't been able to get to a match for a while... it could be someone who's fallen on hard times and hasn't been able to afford a ticket... or just someone who is so busy helping other people they don't have time to get to Turf Moor. They'll be treated to a pre-match ground tour, complimentary match day programme, a three course meal in the Neville Gee 1882 Lounge, seats to watch the match in the 100 Club area (that's right next to the Directors enclosure! ), half-time refreshments plus a chance to meet the Man of the Match after the game. It all starts on 10th of August – so be sure to get involved. When you are looking to improve your kitchen - both aesthetically and practically, we always have something to help out here at Premier Range. So, these week we're taking a look at ovens! First up it's our 60cm Black Push Knobs Controlled Fan Oven! Because ranges are all the rage! This stylish, black, 5 ring range would look fantastic in any modern kitchen. Featuring a huge 110 litre oven space, plus 5 burners, including a super powerful Wok Burner, it's perfect for families and budding chefs alike. The door is double glazed so it's designed to retain the interior heat without the outside getting warm - plus, there is also a full width grill … with grill pan included. The door gives that all important energy efficiency rating of A ... that's as high as it gets. Plus, look at that understated, matt black finish - it's a designers dream! So, no matter what you are looking for, you'll probably find it right here at Premier Range! Once again we were honoured to send some happy Clarets to Turf Moor to enjoy a night of VIP treatment. Sam Robinson was nominated by his lovey wife and drove all the way from Derby to watch Burley draw with Cardiff. And Glenys Eastwood enjoyed VIP matchday hospitality just by entering our draw. Is design led by art, fashion or technology? The real answer, of course, is all 3 – they kind of feed into each other … but I think the one that is least spoken of is Technology. Sure, it’s nailed on that art and fashion are at the very forefront of design ideas. Even us DIY Interior Decorators are influenced by the things we see, the articles we read and the tastes we share with our house mates. But it’s often technology that helps us to realise our ideas. From the plastic moulding of the 50s and 60s, to the modern gadgets and rise in cheap to buy tool in the 70s – technology has helped us stamp our own personalities on our homes for years now. So, what has come along to prompt these musing on techno-decorating? Well, printers are usually the little black box that sits in the corner of the office, refusing to talk to any computers you may own, but newly developed technology has produced enormous, cost-effective printers that can print on just about anything – including glass! Big, massive sheets of toughened safety glass no less! You know, the kind you use for splashbacks in the kitchen! This is exciting, well it is to me, as it’s means you can have just about anything you like printed on an easy to clean surface and mount it just about anywhere. I’ve mainly seen these used as Splashbbacks, which is the most obvious way of utilising this technology … but I have also seen printed glass as feature walls, picture replacements, shower doors and even safety railings around garden decking! It’s a brilliant innovation and, like most little leaps, it’s happening pretty quietly. Pictures have been available on glass for quite a while – I know that – but it was usually achieved with expensive screen-printing technology. Screen-printing is actually quite restrictive too. So, another way of getting pretty pics on glass is with stickers which, again, isn’t ideal as they are prone to damage and colour fade. The development of colour glass printing has brought about the invention of inks that cure so well on the glass that they become virtually scratch proof – so even if you use them outside you’re going to have a pretty robust piece of art sitting in the garden. Most printers are flatbed too – so the shape of the glass can change and, because these printers are really cheap to run, bespoke printing will soon be a very normal thing in nearly all stores that offer this kind of printing. Let your mind run riot and design the kitchen, garden or bedroom of your dreams with bespoke art on every wall … in glass! They think it's all over ... well, nearly! Well, we’ve finished out competitions for the year with Burnley FC – but we are very excited to start again for the new season. How exciting will it be if Burnley make it into the Premiership too! We have supported Burnley for years – initially getting involved with their youth team and then moving on to be shirt sponsors. We are very proud of the team, and the Gaffer of course, and how hard they have all worked to become the players they are today. We’re Clarets through and through here at Premier Range and we can’t wait for next seasons big games … and to Reward some other Clarets with a VIP trip to Turf Moor. Well, what can we say, 2016 has been eventful so far. Despite the weather problems in the local area at the beginning of the year, Premier Range is still going from strength to strength. 'Our personal photo splashback arrived today :) Thank you for the great service and thank you for the amazing job you have done, it looks stunning and even better than I expected :) :)' - Leonie Gunn wrote on Premier Range's Timeline on Facebook. We are so proud to be involved and can't wait to send lucky Clarets on VIP days out once the season starts! Keep your eyes on the site for the rest of the year though - because we are only just getting started! The 23rd of April sees us celebrating things English – why? Well, it’s St George’s Day of course! Now, we know the Irish kind of have the whole Patron Saint thing wrapped up … after all, who doesn’t like mashed spuds and green clothes! So, poor old George gets a bit neglected – not here at Premier Range though! Because we’re going to start celebrating in typically English fashion and reservedly mention a few traditional recipes you may want to try at home … perhaps with some Elderflower Wine. Of course, if you do it right, you probably won’t need to eat for the rest of the day! The secret here, of course, it sourcing the correct kind of ingredients – so, as it’s a special occasion make sure to pick up good quality, organic sausages and bacon … pile on the free ranges eggs … and, to make it English, you’ll need Black Pudding, beans and fired bread … tea, toast and marmalade are the perfect accompaniment too. Tradition would dictate frying everything – but this dish is just as tasty when grilled or baked. Get your bake on! Like a full meal in one this, few veggies on the side and you’re getting all the necessaries on one plate. The name of this dish is shrouded in mystery., but most food historians believe it’s merely the resemblance of sausages looking like toads peering out of a pond. That said, the original recipe didn’t include sausages – it was "6d or 1s worth of bits and pieces of any kind of meat, which are to be had cheapest at night when the day's sale is over’ – cheap cuts really. Talking of side dishes, Jamie has come up with the perfect way to make broccoli – just a pan, your hob and some butter. Broccoli is a staple of many an English meal because it’s an easy veg to grow in our climate – it’s packed full of iron, fibre and, believe it or not, loads of Vitamin C too! Pretty much the most English dish in the land. Now, we all love a chippy tea, Friday nights it used to be at our house – copy of the Beano too if you were lucky – but you can just as easily knock up your own, especially if you own a good deep fat fryer. There are probably healthier ways to make this dish but it’s really not as fatty as it sounds if you do it right. Plus, you can stick real English Ale in the batter and ramp up that St George vibe! Pudding now! Trifle is just about the most English pudding there is – cream, jelly, custard, sponge … and booze! In fact, this particular pud has been around for over 400 years! As far as historians can tell - the earliest use of the name trifle was for a thick cream flavoured with sugar, ginger and rosewater, the recipe for which was published in England, 1596, in a book called "The good huswife's Jewell" by Thomas Dawson. Sixty years later eggs were added and the custard was poured over alcohol soaked bread. So, now you have all the knowledge you need to prepare a truly epic St George’s Day feast! Enjoy! 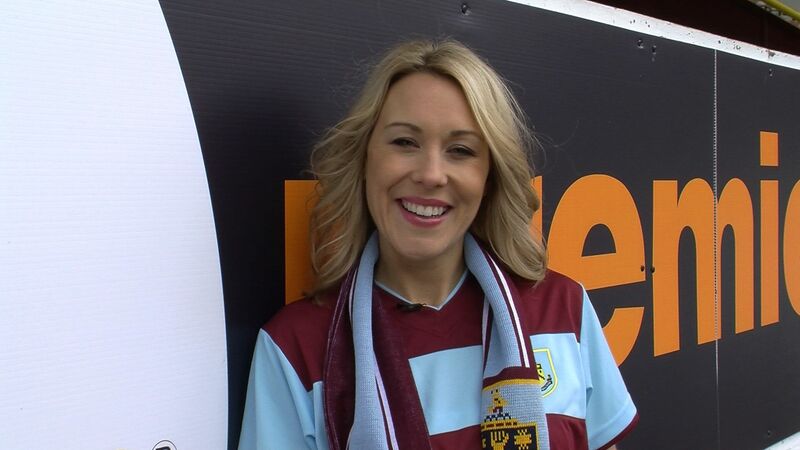 Premier Range are backing the Jane Tomlinson Appeal in 2013 with the help of Burnley Football Club matchday compere Jeff Brown. The Jane Tomlinson ‘Run For All’ Pennine Lancashire 10k run comes to Burnley for the first time in June 2013. And club sponsors Premier Range have laid down the gauntlet to out-of-shape Jeff by offering a whopping £10,000 to the appeal if he completes the run! Premier Range General Manger Martin Mensforth said: “We had a little banter at a recent game and as a result, we have thrown down a challenge to Jeff to get fit and join in. “We have committed to donating a pound for every metre Jeff runs - so 10,000 metres equals £10,000 pounds! “As the race is coming to Burnley for the first time it seemed too good an opportunity to miss! However, unlike Jeff, Premier Range are not happy to stop at £10,000! As the main sponsors at Burnley Football Club, the kitchen equipment specialists want to engage the club and their fans in helping to push Jeff’s sponsorship to an even higher sum. Burnley Football Club is therefore supporting the Jane Tomlinson Appeal by inviting fans to support Jeff through a special ‘Just Giving’ page. The club will also chronicle Jeff’s training through their Clarets Player channel and give fans unparalleled access to his gruelling training regime ahead of the 10k run. Premier Range would like to thank Jeff Brown, The Jane Tomlinson Appeal and Burnley FC for giving us the opportunity to help. This week's Reward A Claret winners. So, I know I promised this week I’d have a look at some more new stock, but I’ve decided to post a picture instead. We run a scheme called Reward A Claret, which we do in partnership with Burnley Football Club. We’re their main sponsors which means we’re able to give away VIP tickets to quite a few of the home games. We get people to nominate someone they think deserves a great day out watching Burnley. Maybe they’re fighting an illness and haven’t been able to get to a match for a while... it could be someone who's fallen on hard times and hasn't been able to afford a ticket... or just someone who is so busy helping other people they don't have time to get to Turf Moor. They're treated to a pre-match ground tour, complimentary match day programme, a three course meal in the 1882 Lounge, seats to watch the match in the 100 Club area (that's right next to the Directors enclosure! ), half-time refreshments plus a chance to meet the Man of the Match after the game. This week’s winners were Chris Hoyle., Ian Creamer nominated his father Colin and Michael Dean-Murtaugh nominated his Auntie Sue and Uncle Jeff. Here they are with the man of the match. More Great New Models From Premier Range! Well, what a month we’re having here at Premier Range! We’re getting ready for Christmas by stocking up on all sorts of great new models and styles. We have a new oven that’ll be prefect for the family roast on the big day, but also some fantastically innovative ideas to spruce up your kitchen should Santa bring you a few quid for Home Improvements. So, what have we got? Well let’s start with our new All Gas Range Cooker. We’re pretty chuffed with this little beauty as it’s one of our few free-standing cookers and it looks wicked. We have four models – All Gas and LPG with adjustable feet or adjustable legs – and they all look fabulous. But looks aren’t everything, as well we all know, so it’s a good job these ranges are really practical too. 5 burners, including a super powerful Wok Burner … and a huge oven space that’d be perfect for even the biggest Christmas turkey. Take a look at them HERE. To go with our shiny new ranges we have a shiny new cooker hood. Now, we’ve tried a slightly different design HERE. Angular statements can make a modern kitchen look absolutely fantastic, so we have taken a simple understated approach with his hood. Looks the business doesn’t it? Once again, the looks don’t sacrifice practicalities. You’ll find the usual powerful motor, that’s 900 square meters per hour, to clean the air in your kitchen … and with a noise level of less that 56db, you’ll hardly know it’s on! The push button opening adds a touch of class to the whole affair giving a subtle action to the door. Talking of class and touch button action, don’t forget to check out the 90cm Robotic Mood Island Cooker Hood - LOOK! The extractor descends on robotic arms to collect all the cooking smells and steam – plus it has LED lights that colour the chimney to give a cool looking effect and set the mood in your kitchen. When the cooking’s done and you’re chilling out, you can mood light the kitchen for a fraction of the cost of normal lighting. The last addition to our Trio of Autumn hoods is the swishy looking 90cm Black Glass Cooker Hood With Automatic Opening - take a look HERE. This sloped affair, once again, comes with a powerful motor and push button opening. Like the angular box hood, we think this would look great in any ultra-modern kitchen. The clean lines help it blend in nicely, and the smooth open door just adds to the class. Well, I think that’s enough for one week, plenty to look at there and, with new stuff landing all the time, I’ll be sure to keep you up-to-date with the latest designs, innovations and models arriving in Premier Range’s Todmorden showroom on the lead up to Christmas. As I have said before, one of the best things about my job is sending Clarets (that’s Burnley Football Fans to you and I) off to Turf Moor for a top, VIP day out. They’re treated to to a pre-match ground tour, complimentary match day programme, a three course meal in the 1882 Lounge, seats to watch the match in the 100 Club area (that's right next to the Directors enclosure! ), half-time refreshments plus a chance to meet the Man of the Match after the game. A couple of weeks ago we sent young Theo, he had a great day so we thought we’d share the pictures with you! The week after it was the turn of Gary Leech. Tom Tomlinson and Chris McGowen. Then, just last night we sent Mark Inger, Mick Warburton plus Liz Whitley and her partner Rae Cowdry – we think the rain may have forced a few of them to hurry off at the end of the match though! Check out what Burnley FC are up to by visiting their new look site Here! So, another a week another blank page to fill with thoughts and musing relating to kitchens, cookers and all those great accessories. So, what shall we talk about this week? Well, with the winter on its way, and the weather seemingly stuck on permanent ‘Autumn’, it’s a good time to think about how your kitchens works Vs how it looks. We all want a well-designed, stunning looking kitchen containing all the mod-cons and swish appliances. … but, if it looking good actually hinders the construction of a warming winter broth then you have problems. So, let’s have a little think about striking the correct balance. We have a few things in our range that can add a little extra life to the kitchen without affecting the practicality – like our Mood Range – a collection of groovy looking splashbacks and cooker hoods. 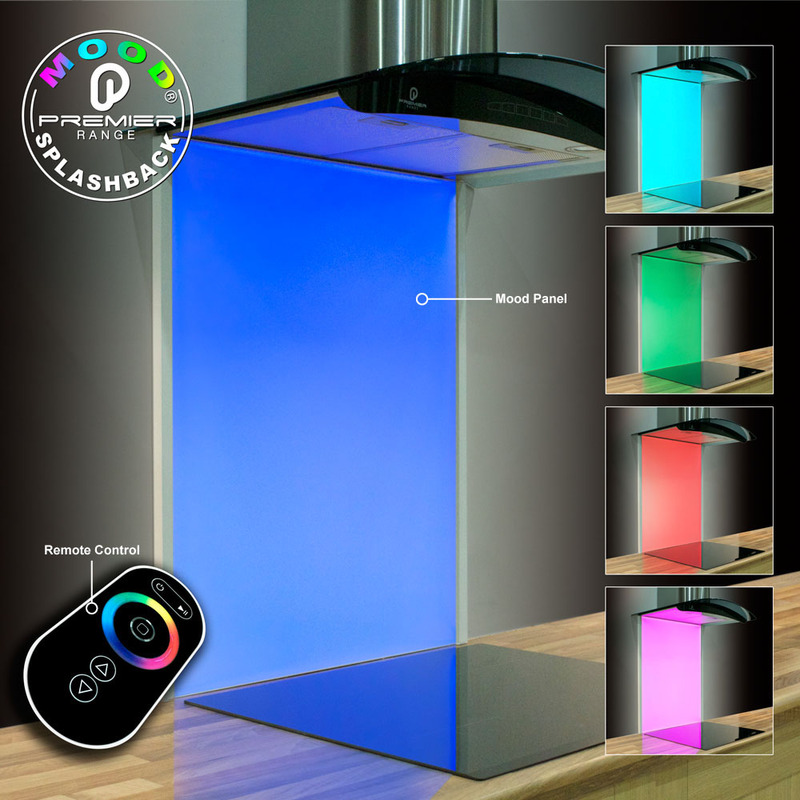 These allow you to change the ambiance in the kitchen by simply turning on a few coloured LEDS within the units. It’s a fairly simple idea that can be very effective indeed. So, that’s the right way forward if you want the cooking area to look cool, as well as being hygienic and practical. But how do you create a working space that helps you keep the kitchen stylish and helps when it comes to the practicalities of cooking. We offer a few ideas on that score too – like our built in ranges. There’s nothing new here, apart from our fab designs of course, but these items are another brilliant example of how you can save space without sacrificing that look. If you use built in items, like ovens and microwaves, you can create a ‘cooking stack’ at one end of your worktop. This means all the gear you need to roast, grill or baste will be in one place and is easily reachable from where you work. That means you can position the hob, once again built in, at the other end of the work surface. You can easily bop between the 2 as you cook. Now, if you’re something of an animated cook, you may want to pick a ‘Truly Curved’ cooker hood, to avoid banging your noggin as you gad about – another invention we cam up with! We’re always thinking you know. So, what it you have an island? Well then you’ve got the best off all worlds. Put the Hob and the cooker hood on the island, but have the ‘Cooking Stack’ set up along the normal work top just next to where you’ll be preparing your food. That way it’s a simple swivel to get between the oven and the hob. Plus, we also offer a Truly Curved hood in our island range … just in case all you ‘dinner time dancers’ have a cooking area in the middle of your dance floor! Our induction hob could add a little safety there too – it’s cold almost as soon as you stop cooking – plus it would look very stylish in the middle of an island as it’s design is clean and fuss free. So, keep it practical, keep it safe but above all keep it fun and funky – you can find everything you need to get you started by clicking here! Traditionally this is the start of lent, when we eat all our fatty foods in order to avoid such temptation for the next 6 weeks before hogging out on Easter Eggs. Or, going further back in history, it’s when we eat all the perishables before the spring harvest … either way, it’s a great excuse to grab a frying pan, fire up the hob and cook yourself a treat for breakfast, lunch and tea! Mardi Gras is s French for "Fat Tuesday" (our Shrove Tuesday) and refers to the practice of the last night of eating richer, fatty foods before the ritual fasting for lent – so, if you’re feeling a bit outlandish today, grab you colourful feathers and start a parade of deliciousness through your kitchen! It’s not just about Pancakes either – here in the north we don’t do things by halves. Scarborough celebrates Pancake Day by closing the foreshore to all traffic, closing schools early, and inviting all to skip along the main road. Traditionally, long ropes were used from the nearby harbour. Celebrations are started by the town crier ringing the pancake bell. While in Whitechapel, Lancashire, the local kids keep the local tradition alive by visiting local households and asking "please a pancake", to be rewarded with oranges or sweets. It is thought the tradition arose when farm workers visited the wealthier farm and manor owners to ask for pancakes or pancake fillings. Although the humble pancake is usually a traditional affair, we here at Premier Range have found a few recipes that may offer you a different taste sensation this Shrove Tuesday. Now, these are very popular here in the UK these days, I’m sure we can hold Homer Simpson responsible for that! Mind you, Nigella usually knows the score, so she could be helping us Brits Americanise our brekkies too. If you are lucky enough to have a griddle just drop that over 2 of the rings on your hob – if not, just use a flat bottomed pan. Again, you’ll be cooking on the hob (seems pancakes are never made in the oven – well, nearly, see below!). These delicious goodies are perfect for lunch – they are light, nutritious and won’t make you feel lethargic in the afternoon. Yes, you read that right! Combining carrot Cake and Pancakes to make the ultimate healthy alternative to the traditional fare! Now, it’s time to get naughty and indulge yourself for tea-time. Chill some wine, light the candles and treat someone special to a taste sensation. Plus, Asparagus is super good for you, so you can pretend it’s a healthy snack – actually, it is quite heathy, especially if you use wholemeal flour. Skillet on the hob and a pre-heated oven is all you’ll need to make this pancake Day a meal to remember. If you just don’t feel the need to mess with the classics, then we also have a ‘proper’ pancake recipe for you here. It’s been Triple tested in the Woman's Weekly magazine kitchen – so you know it’s gonna be good, plus it only takes 5 minutes! Yep, really! Check this out! Click here to see AMAZING Pancakes! Like we said, fire up the hob and get your Pancake on! I have a lot of jobs here as Premier Range’s Media bod. I update photos, mess with product descriptions and update all the social media. But, by far one of the most enjoyable jobs I have is the organising the Reward a Claret scheme. Premier Range been working with Burnley Football Club for a good few years now, we were the main T-Shirt sponsors for the Youth Team, but now we’ve taken the massive step of becoming the main team’s official sponsor. One of the advantages of this is we get to give away VIP tickets for every home game. Of course, we could keep them and schmooze our corporate chums with a VIP day out at the footie - but we thought giving a little back to the fans that made Burnley the team they are was a much better idea. So, every home game we invite Claret fans to nominate someone to have a full day out at Turf Moor, with a meal, VIP seating and load of other great perks. What makes this great for me is I get to ring the nominees up and tell them they are going to Turf Moor – it really is the highlight of my week. If I speak to a dad of a child that’s been put forward, you can hear the excitement in their voice as the contemplate telling the youngster what Saturday is going to be like … if I speak to the person who’s been nominated there’s usually a few seconds of stunned silence as they take in the news. What sort of people are nominated? When Jane Priest’s dad was diagnosed with prostate cancer the whole family was devastated. But, the plucky 79 year old is currently undergoing chemo and everyone is rallying round after him. He’s an avid Clarets fan and, as is an ex-police officer, he was a regular face at Turf Moor in the 70s and 80s while he was marshalling. When he wasn’t watching the Claret’s in an official capacity he was catching games as a season ticket holder with his 2 kids, his grandson and his sister-in-law. He was over the moon when Burnley decided to launch the campaign supporting Prostate cancer charities – but is also disappointed that his illness means he can no longer be a season ticket holder. So, Julie asked us to cheer him up with a VIP day at Turf Moor, and we were happy to oblige! David Haworth nominated his friend’s son Theo Bishop. When Theo was only he was 14 months old he was diagnosed with Cerebral Palsy. The Doctors said he would never walk but that didn’t stop the plucky little fella from getting about! With his Zimmer frame and wheel chair he’s just as active as any other 8 year old! He now goes to Balladen CP School, where he is made to feel at home. And, there was more good news this year when he went America for a life changing operation that will help him to balance, walk unaided and most of all play football! We couldn’t think of a little Claret that deserved a good day out more! Janice Crowther is very proud of her son Thomas. He’s 26 years old and, at the end of October, he’ll be serving his country by joining the Royal Navy. Of course, Thomas is very excited about his new career, but it also means he’ll be unable to catch his beloved Clarets at Turf Moor as much as he used to. So, Janice thought it would be great if his last big game came with all the VIP trimmings, and we were happy to help her out. Have a great day Thomas, and all the best for the future. ‘Love is in the air, do do do do, love is in the air’ … or it will be when Valentine’s Day is upon us! As getting a table in a swanky restaurant usually means a) booking 6 months in advance and b) shelling out tons of casht, why not treat your significant other to a selection of home made goodies and a nice bottle of vino instead! In fact, go all out - dress the table up, put some Barry White on the CD player and wear your best togs. You’ll have to sort that last bit out yourself, but we’ll get you started with a few hand-selected recipes. Actually, let’s start with breakfast – might as well make a day of it! Eggs Benadict is so easy to do, but looks so posh and decadent it’s perfect for that breafast in bed start to the day. Make sure you don’t over poach the egg, that’s the secret. You want it just done, so when the yoke is broken it oozes down over the salmon and the bread, mmmmmmm. Secret to a good poached egg? Boling water, a splash of vinegar and a very controllable hob! How’s this for decadence? Well, if you can’t push the boat out with a little naught Asian –tinged food on the most romantic night of the year then when can you? If you are wondering about taste, it’s similar to a sweet and sour dish, but with slightly more subtle flavours. Now, although this dish sounds complicated, it really isn’t So long as your oven is working well and you don’t burn the duck on the hob, this dish will make you look like a proper chef! How about something for the Veggies? Not a problem! Now this recipe serves 6, which is a little crowded for a romantic dinner so you may want to reduce the ingredients a little … or maybe not as Asparagus is well know aphrodisiac! Also, and this was new to us, the Italian nickname for Basil is ‘kiss-me Nicolas’! The heat in the chilli flakes give a nice little kick to this delicious meal and the whole she-bang can be easily prepared on the hob. You have to have pudding, right? Well, make sure it’s nothing to stodgy, you don’t want to fall asleep during the romantic movie you’ll be watching – macaroons and sweet, look gorgeous and are, relatively , easy to make. Just make sure you don’t over work the mixture, you don’t leave them in the oven too long and you bake them with plenty of love! This week we’ll be talking about trends in decoration and how the trendy kitchens will be looking this winter. Now, I know the rest of the home is usually spring cleaned and sorted during the warmer months – but the kitchen really comes in to it’s own during the winter months as we ramp up the heating and look for warm treats to eat. Now, we’re not taking painting the walls or buying a new table cloth – this is something that’s close to the Premier Range heart - Colour Appliances. We have really upped our game in 2014 designing and sourcing colour coded appliances and accessories. Obviously, black and silver are still strong colours for the kitchen … especially in hoods or hobs … but trends of beige, grey and cream are really shining through this year … and we have all that ... plus splashbacks to match. . Of course, here at Premier Range we offer the truly adventurous a little something too. Contradicting what we’ve just said the monochrome is something that taking the kitchen world by storm. Usually the preserve of the contemporary kitchen, the more traditional designs are starting to go with that black and white feel. Of course, finding black appliances is never hard work … but why not mix things up with a white hood, hob or splashback … even something patterned. Now, hiding the oven or hob behind a cupboard isn’t a great idea, health and safety wise, but the rest of your appliances can be neatly squirreled away behind doors and draw fronts. It’s a trend that become more and more popular – and it really gives a kitchen a contemporary feel. We do actually offer a great solution to hiding plugs and sockets too. The kitchen is the heart o the home and just banging up a fluorescent light or a bare bulb is no longer and option. LEDs have made illuminating your kitchen a real pleasure – from hoods and splashbacks (bit of a PR exclusive there) to kickboards and under cupboard spotlights. It’s amazing how much you can change the mood of your kitchen just by adding a different colour lighting idea – try it, you’ll be amazed. If you are spending time picking out the perfect hob – don’t spoil it by sticking it in a rubbish worktop. It used to be an expensive business to get the perfect worktop, but even a granite top is well within most budgets these days. But, if you want something to enhance your worktop – why not opt for a granite hob!! More Splashback - but this time it's different! So, in the world of Kitchen design the technology changes behind the scenes but we don’t really get to see much of it out front. Well, for instance, both fridges and cookers are getting more efficient and easier to use. They consume less power, do their jobs better and need almost no maintenance. But, when it comes to design, these things are pretty much how they’ve always been. Sure, they look more modern, sometimes, but the basic box shape and opening handles are more or less the same as they have been for the last 50 years. Now, we’ve always believed that a splashback is a brilliant way to make your kitchen look great – they’re clean, easy to fit and finish of any design perfectly. But, for 2012, we’ve taken our splashback well and truly into the 21st century by adding our state of the art mood lighting. This isn’t just a light at the top of the splashback either! Oh, no – this design allows the super-efficient LEDs to flood the whole panel with light – light that you control. Imagine being able to change the colour of your splashback whenever you change the colour of your kitchen? Or if you’re just wanting to change the ambiance in the kitchen? You can even set the panel to repeat per-programmed patterns – perfect if you’re having a party! We use the kitchen as pretty much a family room in our home – from scarffing down brekkie with the kids amidst the chaos of the early morning school run – to chilling out with friends over a nice glass of Rioja. So, the way our kitchen is used takes in the whole spectrum of feelings and activity – as yours probably is - so why shouldn’t the lighting in the kitchen do the same. Seems such a simple idea that’s never really been exploited, and certainly not at an affordable level, not until now anyway. Well, we’re pleased with our little invention – we’ve had it Trademarked and everything! We offer panels, upstands, remotes, power supplies and all the connectors anyone could ever use. And, the beauty of this system is you can keep adding to it – you could have a whole mood wall if you wanted, just do the kickboards around the bottom of the units or have panels dotted about and controlled from the same place. The possibilities are only constrained by your imaginations! We’re very excited about the Premier Range Mood Splashback – I hope you will be too. Ok, time to talk about Splashbacks. People have been eschewing tiles and grout for plain glass for years now. These simple, yet effective, additions to décor have been a mainstay in Bathrooms for as long as I can remember … and now they’re starting to become more popular in kitchens too. Well, we think it’s more hygienic for a start. You don’t have all those problems with joints and grout, do you? Glass is easy to wipe down and doesn’t have as many nook and crannies to collect nasty bacteria and dirt. So, your glass splashback will be cleaner and more hygienic. It’ll also date less quickly, we believe anyway. Tiles, unless they are plain white, can soon start to show their age. Look at all those 70s and 80s kitchens sporting bright colours and clashing pastels! They soon became a bit of an eyesore when the ‘cool’ 90s arrived and everyone wanted understated black, gray of plain white. And that leads to another problem, removing tiles. How many of us have been redecorating the kitchen, gone to remove a tile and had half the plaster has come off with it? Fitting a plain glass panel, with mirror brackets means that you can chop and change the style of your splashback whenever the mood takes you – without bringing down half of your wall when you do it. Well, how about the price? Good quality, classy tiles don’t come cheap and, if you spend a lot of money on the tile, you’ll probably want them fitted by a professional. More cost, more hassle, more heartache. But when it comes to a glass splashback you can pick one up from us for as little a £50 then fit it safely and with minimum fuss. Plus, when the prices are that good you can afford to change your colour scheme every year – if the mood takes you. And there’s another thing, Mood Splashbacks! A talking feature for any kitchen! It’s a glass panel with light shining through it - colours change, patterns change, you name it!That’s the kind of thing you’d never get with titles – a kaleidoscope behind the cooker! 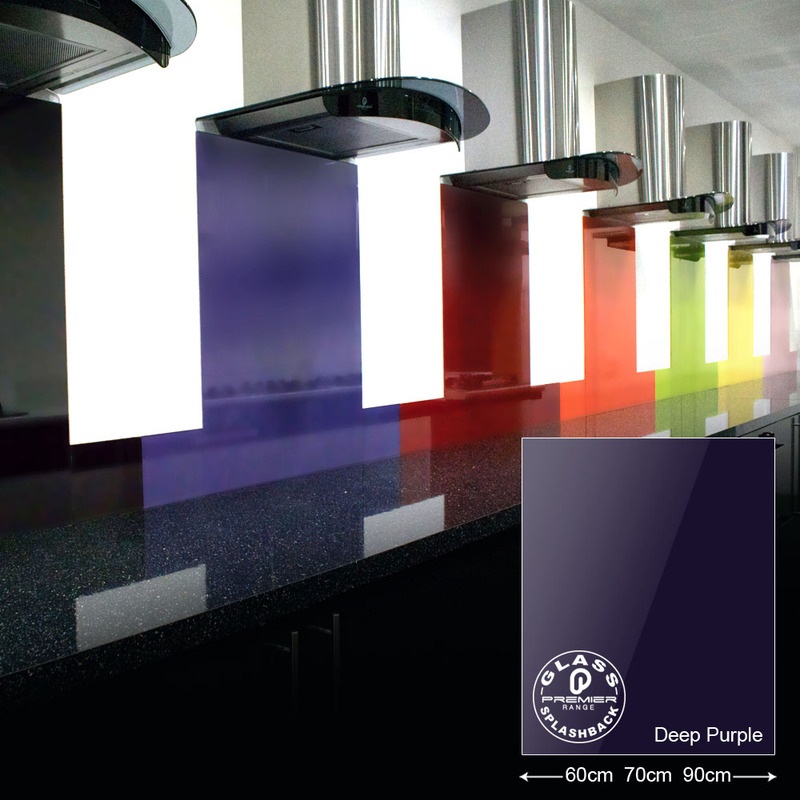 Of course, the Mood Splashback can be set to one, solid colour, so you don’t have to turn your kitchen into a rave! In addition to the normal, coloured and Mood Splashbacks, we’re also developing some great new technology that’ll take choosing a slpashback to a whole new level … but I can’t tell you what it is because it’s super secret. It is with great sorrow that we have to announce we are breaking our ties with Wigan Athletic FC. Football is very close to our hearts here at www.premierrange.co.uk and we have always involved ourselves with local teams in one way or another. We had a great run with Burnley FC and were delighted when they were promoted this season. We thought that it was natural for us move onto another local team with Wigan and we decided to sponsor their shirts. Unfortunately, their recent appointment of Malky Mackay has put us in a position that we find untenable. Mr Mackay is currently under investigation by the FA for sending text messages that are at odds with the general ethos here at Premier Range – and, it would seem, Cardiff and Crystal Palace feel the same as us. The texts Mr Mackay has admitted to sending are wholly unacceptable – and the thoughts expressed within them are a shocking reminder of a past we thought football had left behind. A team that would employ a man who expresses views such these is not the kind of team Premier Range wish to deal with. Great Recipes For A Late Bonfire Party! Bonfire night being mid-week means most of us will looking to have a little party at the weekend instead. So, whether you are hosting your own shebang, or tipping up at an organised event, making sure you have the right food to munch is essential. So, grab and pen and we’ll give you a few hints on what you could severing at your Bonfire, or after-Bonfire, party! So, here is something that’s super easy just to knock up on the hob without too much prep or fuss. A warming, tasty Tomato and Chilli Soup. It’s got a lovely comforting texture and, the great thing about soup is, you can serve it in mugs and everyone can have it standing up while watching the fireworks. Another easy recipe for the hob but this time a double whammy – because you can use all the pumpkins left over from Halloween! We’re joking of course, best to buy fresh pumpkins rather than the ones rotting on the garden wall, but this is still a lovely recipe. What’s more, it’s low fat too – so you can have an extra toffee apple. Time to use the oven now! How do Bacon Stuffed Spuds sound? Yummy! Jacket potatoes are a Bonfire night favourite and this recipe from Mathew Tompkinson just puts a little twist on the usual fillings. Again, eating standing up is always a bonus if you want spend the evening in the cold fresh air watching the fireworks – but this dish can also be served as part of a main meal. More hand-held favourites here, this time from our friends across the pond in the good ‘ol US. Both the hob and oven being used here and, boy, will it be worth it. This fiery twist on the classic hot dog is so delicious that even if the local bonfire is having trouble getting going they will warm your belly and make you feel all toasty inside. Pudding!!!! And you don’t get more traditional than Parkin, and we found a great recipe for Lancashire Parkin (we are from Lancashire after all). So, fire up the oven and get you hands into this scrummy, spicy, sweet treat for Bonfire night. And, if anyone fancies dropping of a few treats at the Premier Range office, well, feel free! What's In A Footy Shirt? So, here’s a blog that most Kitchen Appliance companies can’t write – what’s in a football shirt? Well, we are starting to find out because Premier Range are proud to be the official sponsors of Burnley FC - http://www.burnleyfootballclub.com. We’ve been sponsoring the Youth Team for a fair while but this year we moved into the big league, if you’ll excuse the pun, and struck a deal to sponsor the main team who play in the Championship. Of course we don’t have any say over how that shirt is designed but I can tell you this, those fans can be the world’s most critical fashion critics! Even the most hardened editor at Vogue has nothing on a lifelong footy fan that’s not happy with the new season’s get up. Saying that some of them are pretty good designers too - Look Here! So, what makes a footy shirt acceptable for the fans. Well, continuity seems to be the main thing. A team’s shirt needs to look like a team’s shirt, if you catch my drift. But, the team, and their designers, have to keep up with current trends. The team don’t want to look like the 1966 World Cup team, even if they want to play like them. So, obviously, the colours have to feature prominently – you can’t have the Clarets go out with no Claret on them – the team badge has to be on - and we, the sponsors, need to be featured as well. In this case, we’re pretty happy with that bit. The old adage is you can’t please all the people all the time, and I think Burnley have managed to strike the correct balance with the new season shirts … I’m a big fan of the away kit as it happens, and I’m sure plenty of fans will be enjoying, and buying, both kits. We had no idea here at Premier Range that kit design was such a complicated process, it’s really not something one would think about, but the important thing is the way the team performs. Wigan Athletic are delighted to confirm that for the first time in the club’s history, that as well as the front of shirt sponsor, the team will carry a sponsor on the rear of their playing kit after agreeing a deal with Lancashire kitchen appliance company Premier Range. The Todmorden-based company therefore become an official club partner for the 2014-15 Sky Bet Championship, the lettering www.premierrange.co.uk featuring above the player name on the back of Latics’ home and away shirts. Premier Range, who are prominent in online sales from their website www.premierrange.co.uk are committed to providing their customers with the best in high quality products, from their exclusive range of designer Cooker Hoods, Hobs and Ovens. All of their products are designed and manufactured in house, resulting in excellent value for money as well as top of the range exclusivity. “We are delighted to link up with Premier Range ahead of the new season and to take advantage of the rules for the Football league which permits rear of shirt sponsorship – in that respect, it makes the new 2014-15 kit a real collectors item. “Premier Range are an established and thriving local business and we thank them for their support. Martin Mensforth, Director at Premier Range added: “Premier Range are very proud to be involved with a club with such a rich and varied history as Wigan Athletic. “We think it’s very important for local businesses to support local teams as it can only add to the fabulous sense of community already surrounding a great side. “We hope to spend plenty of time sat in the stands at the DW Stadium enjoying the atmosphere and cheering on Latics with all the other fans. When you fit a cooker hood you have two choices with your filtering or ventilation - you can either vent your hood externally using ducting or, if that’s not possible, you can use a carbon filter. There has been a great deal of debate on which system work the best but most of the time the decision if made for you by the design of your kitchen or it’s position in your home. The thing you need to do though is know exactly what you’re buying and why. This method is most popular in kitchens where access to outside wall isn’t easy – think flats, apartments and back-to-backs - but can also be a life saver if you have fitted an Island Hood and are unable to gain easy access to your ceiling space to fit the piping. So what about the filter its self? Well, you’ve probably all heard of Carbon (Or Charcoal) filters but, if you’re anything like me, you’ve never really thought about what they are and what they do. Well, here’s what I learnt while researching this blog. When charcoal is treated with oxygen thousand’s of tiny pores open up between the atoms – this is when it becomes known as Activated Charcoal - the resulting surface area of the newly activated charcoal is an incredible 300-2,000 square metres per gram! So, when any other carbon based particles, … grease, food bits, certain smell particles … float past they are absorbed by the charcoal and are nuetralised. It’s a very clever process that has remained pretty much unchanged for 100s of years. Knowing this also helps you to remind yourself when to change your filter – and the more you cook, or use you extractor, the more often you need to change. Another thing we like to tell our customers here at Premier Range is - turn your hood on about 20 minutes before you start cooking. This gets the air moving around in the kitchen and your extraction will be a lot more efficient while you are actually cooking. That’s particularly important when using a filter. The other way to extract your air is with ducting – the easy way to take the smells and other nastys out of your kitchen. Not a great deal to say on this method as it’s pretty straight forward from the user end of things – you just have to make sure you have the room to install any piping when you are making your purchase. Island hoods are a very popular line, but they can be very hard indeed to retro fit to a modern home – but as I said, they can be recalculated pretty well with filters – but if you’re starting from scratch Island Filters aren’t any more difficult to vent that wall mounted hoods. Venting kits should be manufacturer recommended and certainly not made of plastic. If you can get to the piping it’s a good idea to replace it very 5-7 years – just to make sure it’s working efficiently, is hygienically sound and not clogging up. The one thing you must never to it let your venting situation lead your choice of hood – most modern cooker hoods will work with both systems. Just choose the hood you want and make sure you keep up the maintenance and you shouldn’t have any problems. It all started at the Derby of Derbies, the Blackburn Vs Burnley game on 14th September 2013. Usually, this banter would be run-of-the-mill stuff about Kitchen appliances and windows … but, this Saturday was different … because our MD laid a gauntlet in front of Jeff – with 10, 000 pound price tag on it! What did Jeff have to do to win his prize? Well, firstly, the prize wasn’t for Jeff, it was for the Jane Tomlinson Appeal – a fabulous charity that funds cancer research and helps those effected by the disease … all Jeff had to do to bag the loot was run the 10k Burnley Run for Life! A daunting task for a man who admitted himself that the most exercise he got was when he walked from the front door to the car! Well, Jeff is a man of his word and immediately went into training. Jamie Kennedy, Manager of Fitness Experience Burnley, offered his services, free, to make sure Jeff trained safe, as well as hard. Jamie told Jeff he would train him personally to ensure he was ready to run the distance. Jamie put his philosophy in action by focussing on Jeff’s training, lifestyle and nutrition. Cue lots of sweat, tears and scenes like that one from Rocky when he runs up the steps and cheers to an empty street below … only in the North West of England rather than New York. Jeff lost an amazing 7 stone 2 pounds over his 6 months training period, reduced his body fat by 15%! He admitted feeling better than he had done for years – in fact, in a recent interview he said ‘This experience has changed my life’. Premier Range’s MD saw him at a game in April and ordered the cheque from the bank that day – Jeff already looked like he could run to Blackburn and back! Running 10k isn’t all about being thin though, you need stamina and resolve too – and, on 2nd July 2013, Jeff proved he had it! With Jamie, the FX staff and his son by his side, he completed 10,000 meters and raised a pound for every single one. It was winners all round though. We spend most days selling Kitchen Appliances to customers on line – so we were happy to take time out to watch Jeff’s progress – and then donate the £10, 000 to The Jane Tomlinson Appeal … helping not only Jeff change his life in a small way … but also contributing to the £4million plus the charity have raised since 2002. I'm sure everyone is aware of the floods in Todmorden over the weekend - one of our main sites has been effected - and while it hasn't effected Premier Range's ability to trade, it's obviously effecting the town around us. It may not have effected you but next time it might. We want to make sure it doesn't happen again - please sign this and share it with your friends. Kitchen Design, like many aspects of modern life, is ruled by changing fashion. That’s why the design team at Premier Range have to be aware of what’s happening where and when. Of course, Coco Channel once said ‘Fashion comes and goes, but style lasts forever.’ so, we have to tread the thin line between staying bang-up-to-the-minute and looking dated within 5 years. The move away from hidden extractor fans into the world of very visible cooker hoods is something, we feel, will be around for a long time to come. For one it makes make life easier when fitting kitchens, secondly it means that people who have a cooker islands don’t have to worry about having their hood on display. One place it does open up a whole can of worms is in the design department. The boffins in the office now have to make sure all the internal gubbins does the correct job, while the outside of their once functional products now have to look slick and stylish. Well, so far so good, it’s not often you see a truly hideous cooker hood design. One of the reasons people have embraced the visible extractor/cooker hood, we believe, is because there is something genuinely comforting about seeing a ‘chimney’ in a kitchen. True, we don’t cook on open fires anymore, but the kitchen is still the heart of any home and it’s always better if it’s a comforting place to be. So, where does that leave us on fashion/style/looks and all those other matters of aesthetics? To us it means not over designing something. If you change your kitchen every 2 years it’s probably fine to have a cooker hood that looks like an Andy Warhol original – but, if you keep your kitchen the way it is, a hood that’s clean, fresh and simple will go with just about any look and still be stylish. You should always favour hoods that have a chimney, a well-designed control panel and an efficient extractor. Lines should be kept to a minimum and the over all finish should be unfussy - black and silver are both reassuring colours that are also neutral so, once again, they aren’t going to clash if you want to change the design of your cooking area. Push button versus finger touch control panels can also be an aesthetics choice. Touch panels can be easily hidden, so your cooker hood can have an almost blank front, where as push buttons can add a retro chic – as well as a reassuring ‘clunk’ when pressed. The one advantage a touch panel does have is it’s easier to clean so we can assume they will soon become the norm, - opening up the way for funky graphics to be added to the control area of a hood. Of course, they could easily date too. Buying the right cooker hood for your kitchen is a totally personal thing, so you certainly don’t have to take my advice, but should you want to I say –keep it simple, keep it subtle and keep it stylish.